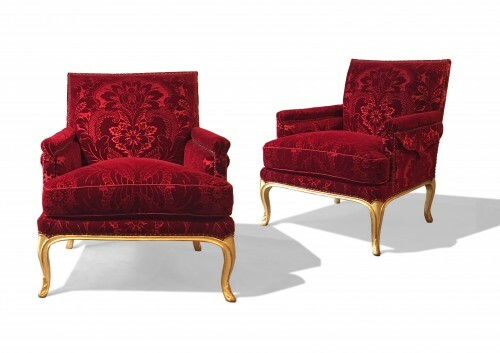 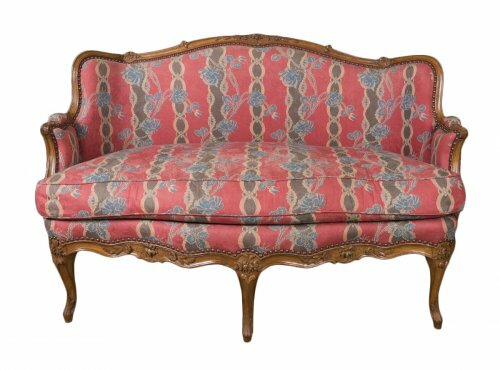 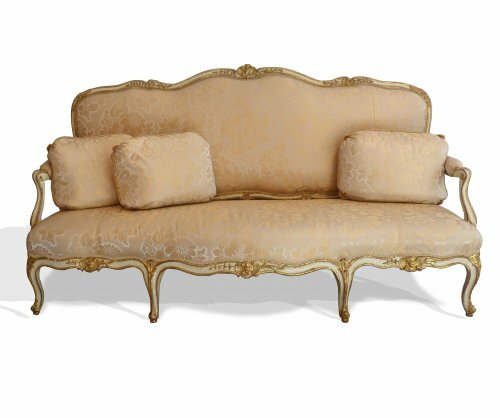 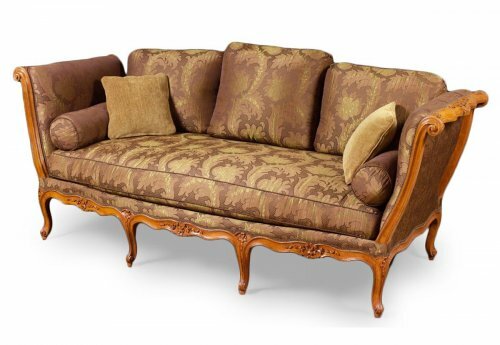 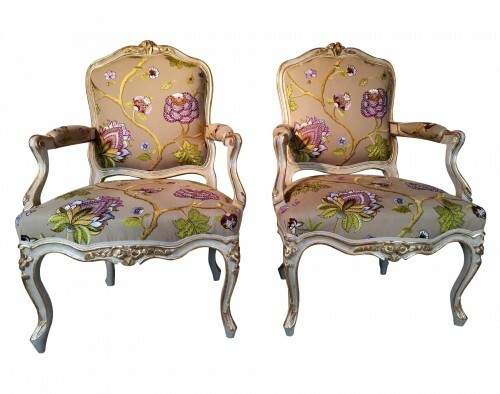 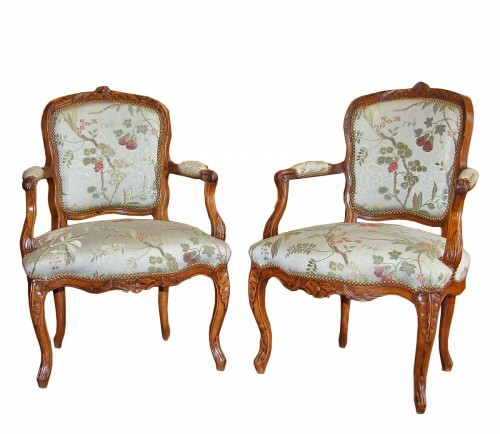 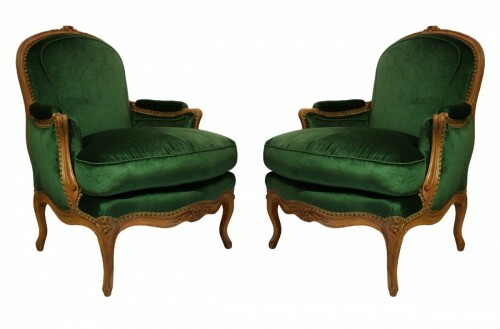 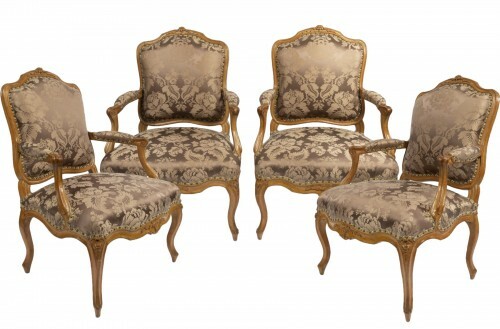 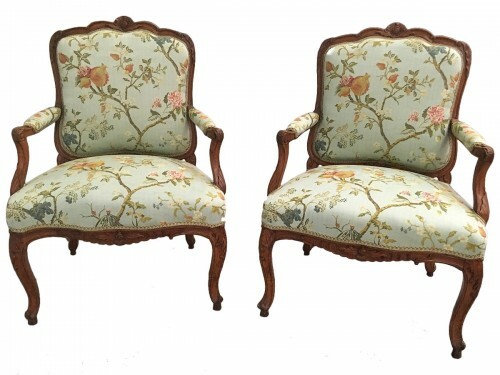 A Louis XV beechwood settee stamped "FRC Reuze" and "JME"
Louis XV chairs are light, comfortable, and enveloping. 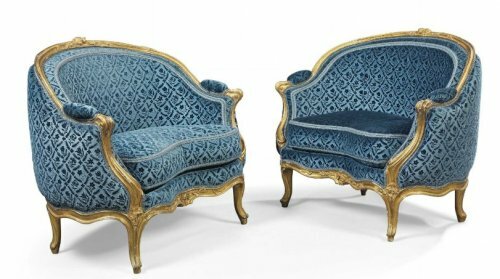 Their lightness is due to the removal of the cross stretcher: this term designates the stretcher in an H or en X configuration that linked the legs of seventeenth-century fauteuils. 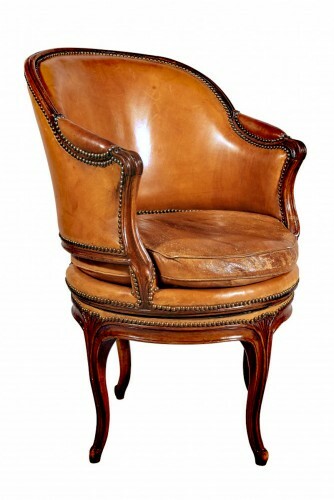 Henceforth, this element, was only used for certain cane chairs and straw-bottomed chairs. 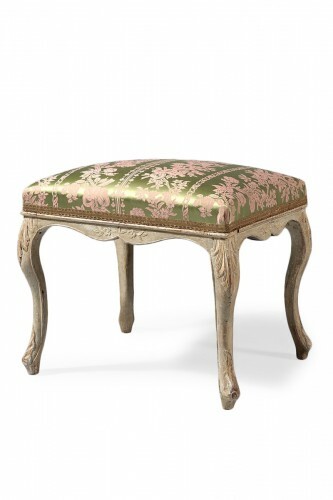 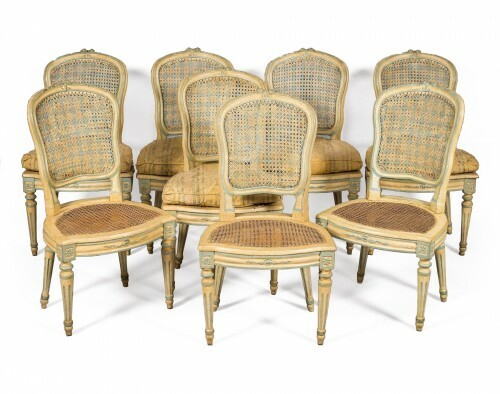 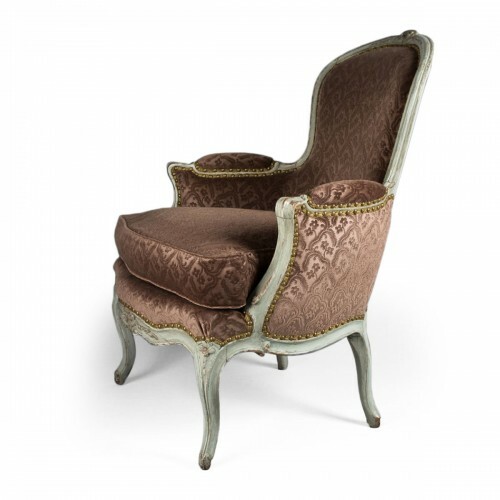 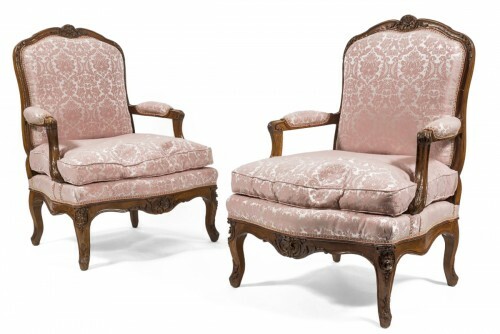 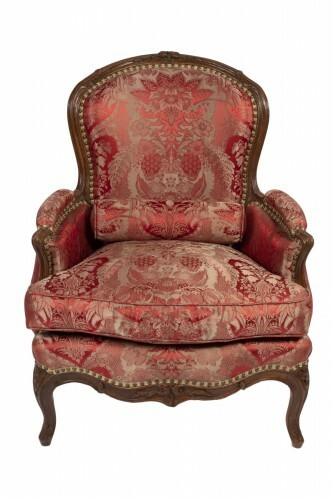 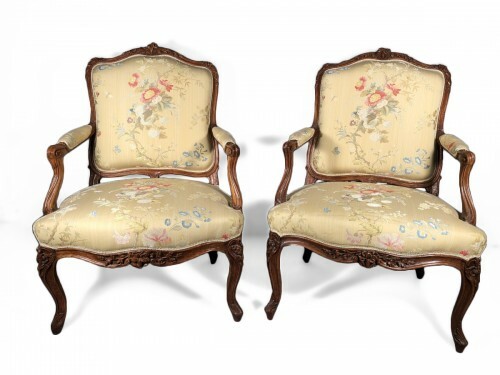 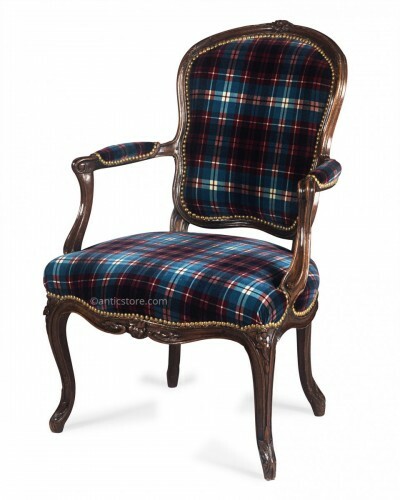 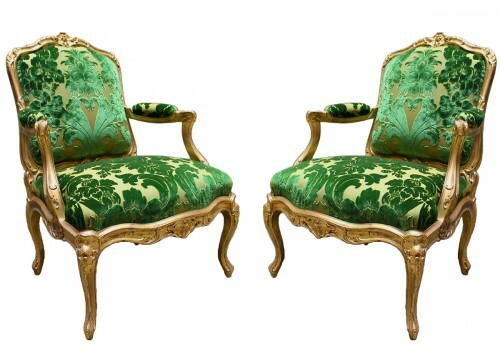 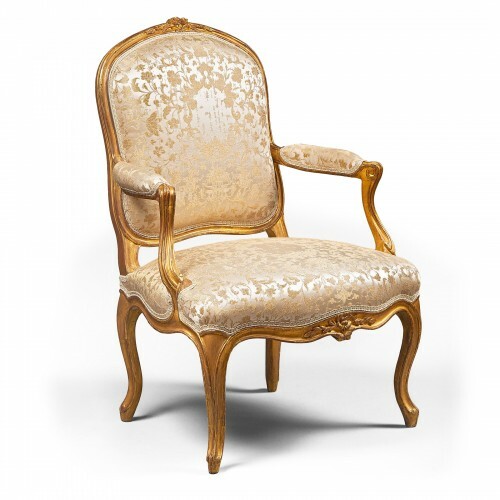 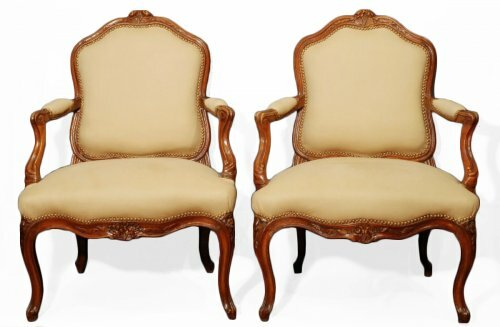 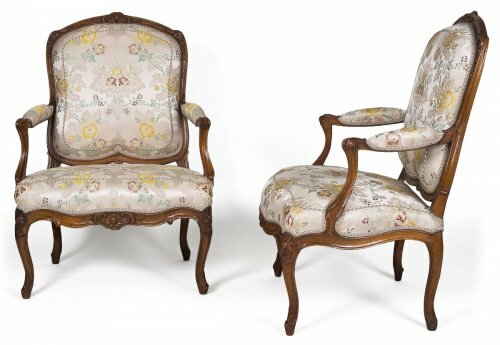 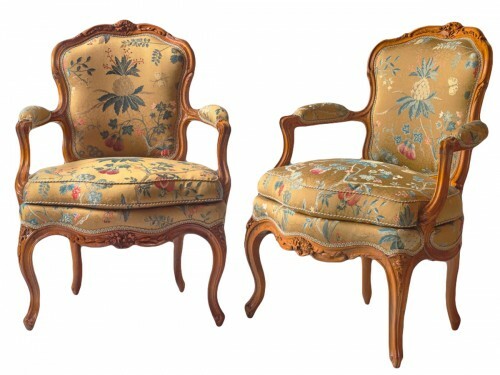 The lightness of Louis XV chairs is also due to the height of the back, which is often no higher than forty-five centimetres above the seat rail. 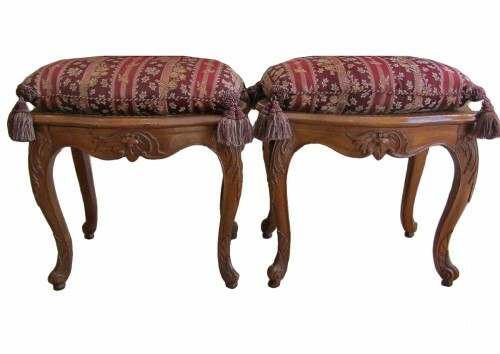 Their comfort arises from the shape of the back. 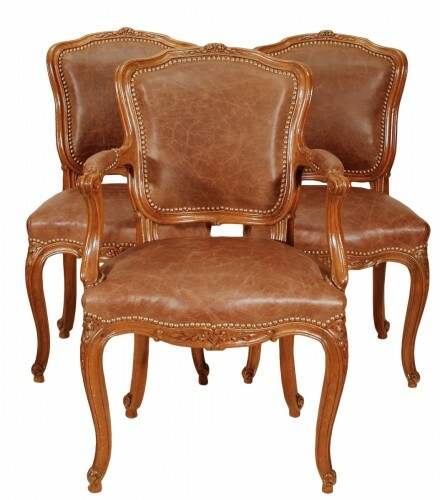 The arm supports are almost always set back, as they are not aligned with the feet but behind the seat rail. 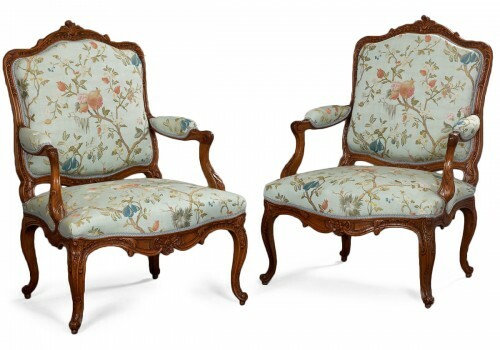 These set-back arms were introduced as a result of the fashion for robes à paniers (hoop skirts), introduced during the Regency; the design allowed the wide skirts to spread over the front of the seat. 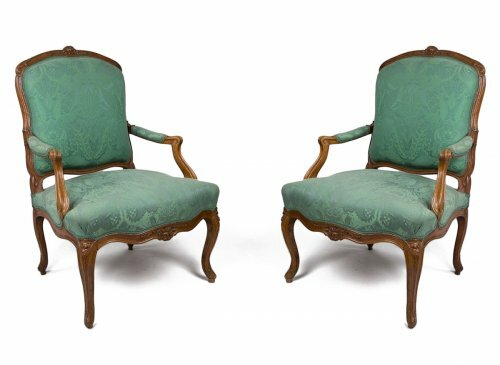 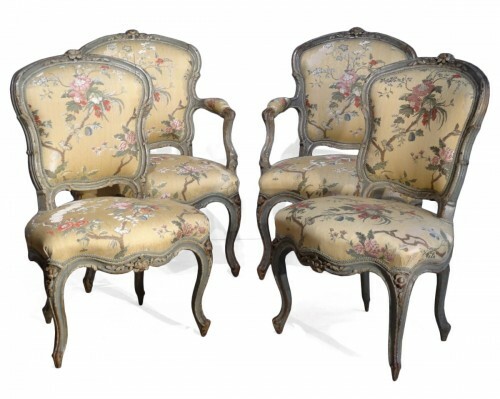 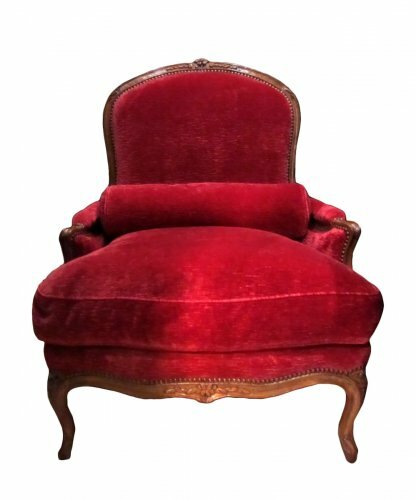 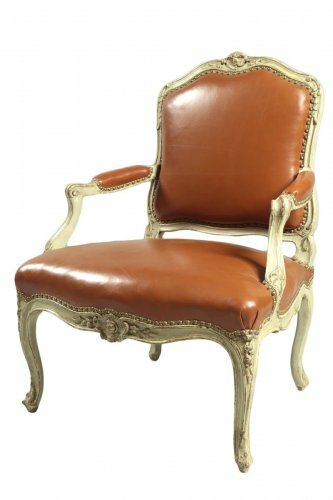 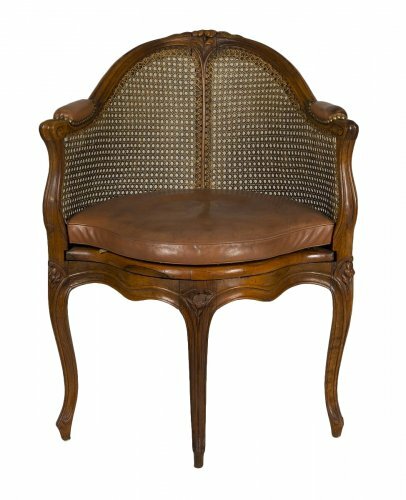 The overall composition of Louis XV chairs is one of great unity; this harmony and linear continuity is only found during this era. 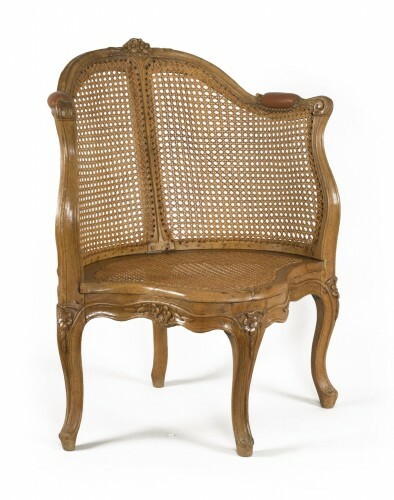 Indeed, all the outlines are curved, but all the lines connect so precisely and so effortlessly that the passage from one member to another is practically indiscernible. 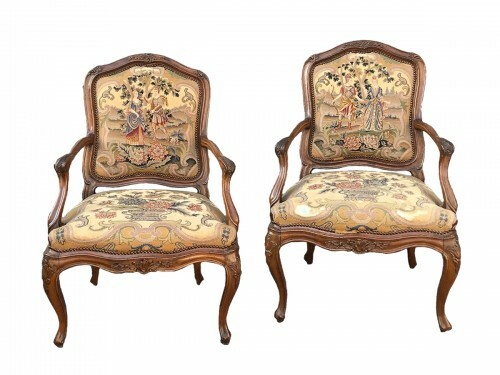 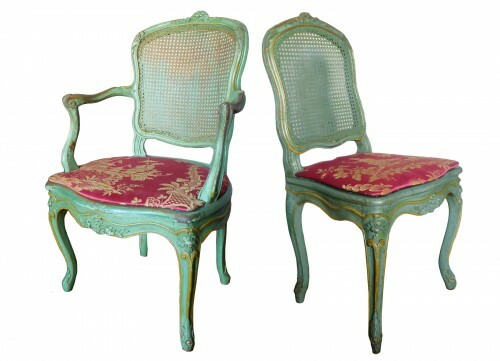 The decoration of Louis XV chairs is very restrained; the motifs on the mouldings are never repeated, unlike Louis XVI chairs. 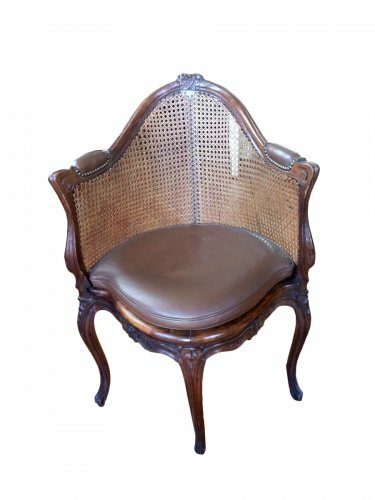 Most often, the ornamental elements consist of two or three florets gracefully placed on the central area of the seat rail and the back.